This is a coat. It’s not just any coat though. It’s a coat with history. It’s a coat that has been worn by two girls. One wore it when she was younger, the other wears it now. I have washed this coat and I have hung it on the back of a chair to dry. I do this so that my youngest can wear a clean, warm coat on these cold December days – the significance of which is not lost on me, when I see the thousands of refugee children that do not have a clean, warm coat, or those in this country who struggle to keep their kids warm. My little girl will be warm in this – even if she can’t manage to keep it clean for long. But I probably don’t want her to keep it clean, because then she wouldn’t be having fun. And I do want her to have fun. I want the refugee children to have fun too. I like the smell of this clean coat and I like having it as a sort of centrepiece in the kitchen as it dries. 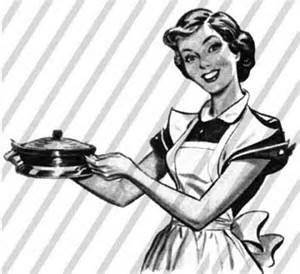 I don’t really like housework, which is a shame, since it’s part and parcel of what I do. But every now and then I find meaning in it. This coat is full of meaning and it’s full of love – because I put it in there for her to wear every day. She doesn’t think about this when she puts the coat on before school every day – but I hope that she knows it. If you look closely, each laundry cycle is loaded with this significance. There is love in her PE kit too. I put the t’shirt and shorts at the top of her bag, as that’s what she will need to pull out first and most often. As she rummages through, she may not see the love – but I know I put it in there. It’s there if you look hard enough. Previous Previous post: …and what do you do?